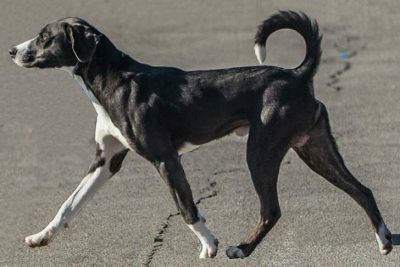 The Catahoula Leopard Dog is a multi-purpose working dog that is well-muscled and powerful, but with a sense of agility and endurance. They are serious while working and playful at home. 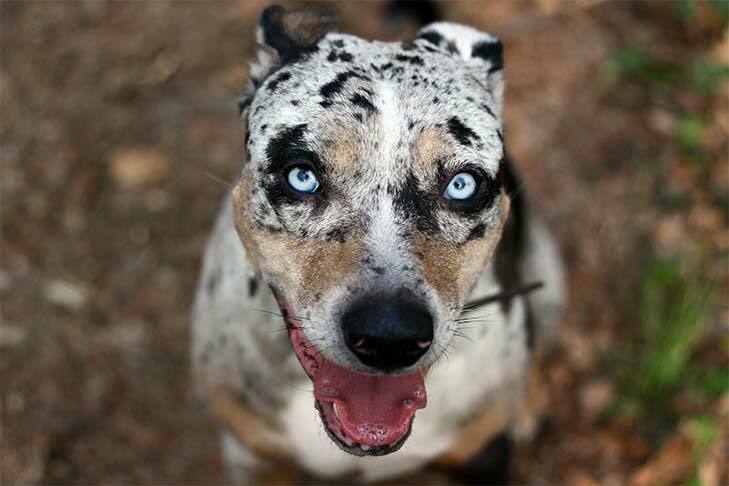 The Catahoula Leopard Dog is a medium-large, short-coated dog, known for its many varied coat and eye colors and patterns. 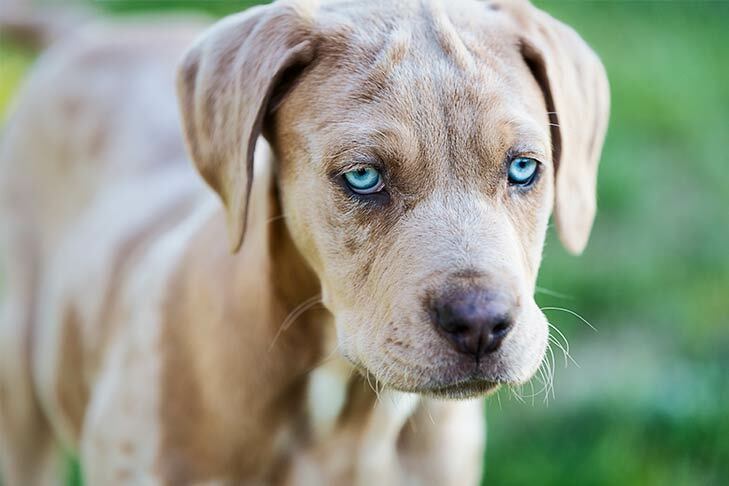 The word catahoula is of Choctaw origin and is translated to mean “sacred lake.” Catahoulas are the only breed of dog to have historically originated in the state of Louisiana. The breed requires firm guidance and early socialization, as they can be independent, territorial, and protective. For the same reasons, they do not allow mistreatment and will assert themselves in self-defense. Once they know their place in the family unit, they are affectionate, loyal, and gentle. 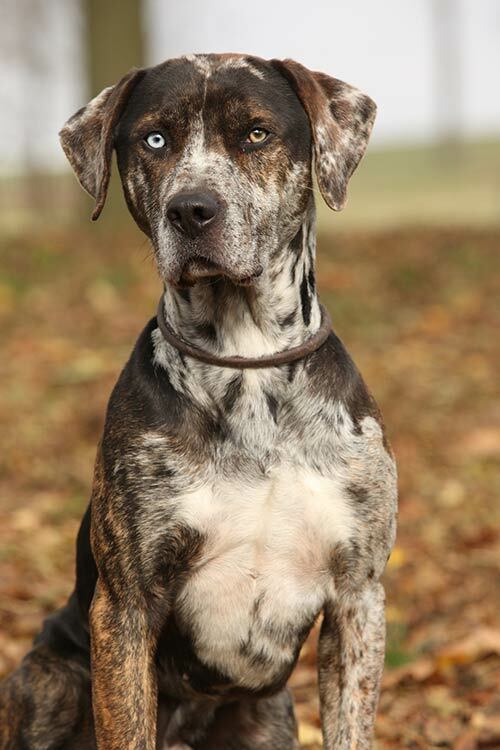 Also called the Catahoula Hog Dog, they are used as stock dogs, bay dogs, tree dogs, watchdogs, guard dogs, and of course as loyal companions. 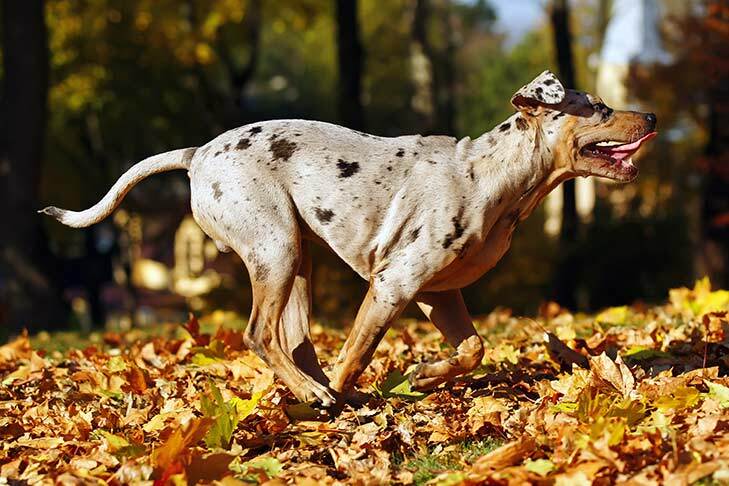 The Catahoula Leopard Dog should do well on a high-quality dog food, whether commercially manufactured or home-prepared with your veterinarian’s supervision and approval. Any diet should be appropriate to the dog’s age (puppy, adult, or senior). Some dogs are prone to getting overweight, so watch your dog’s calorie consumption and weight level. Treats can be an important aid in training, but giving too many can cause obesity. Learn about which human foods are safe for dogs, and which are not. Check with your vet if you have any concerns about your dog’s weight or diet. Clean, fresh water should be available at all times. Beyond regular weekly grooming, the occasional bath will keep your Catahoula clean and looking his best. Grooming can be a wonderful bonding experience for you and your dog. The breed’s strong, fast-growing nails should be trimmed regularly with a nail clipper or grinder to avoid overgrowth, splitting and cracking. Ears should be checked regularly to avoid a buildup of wax and debris, which can result in infection. Teeth should be brushed regularly. The Catahoula Leopard Dog needs space to expend his copious amount of energy and always needs a job to do. He is not suited for the city or as an apartment dog. Without the proper amount of exercise and attention, he will start to cause trouble digging holes and chewing things. Options for exercise could include play time in the backyard, preferably fenced, or taken for walks several times a day. Outdoor activities like swimming, hiking, and retrieving balls or flying discs can also provide a good outlet for expending energy. Note: he is an excellent swimmer! Training for dog sports like agility, obedience and rally can also be a great way to give your dog exercise. Without training and mental stimulation, this breed can become destructive in the home. 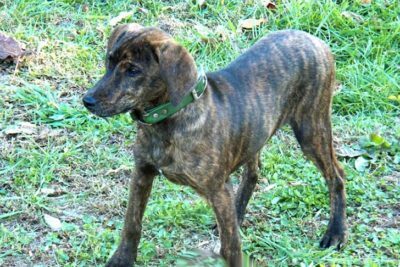 Due to his independence and territorial instincts, becoming well-socialized is also very important for the Catahoula to be a gentle and affectionate companion in the home. Though working like an adult at the early age of 10 months, Catahoulas are not fully matured until they are 2 years old. Therefore, it is important to make all jobs and exercises fun so as not to cause burnout at too early an age. 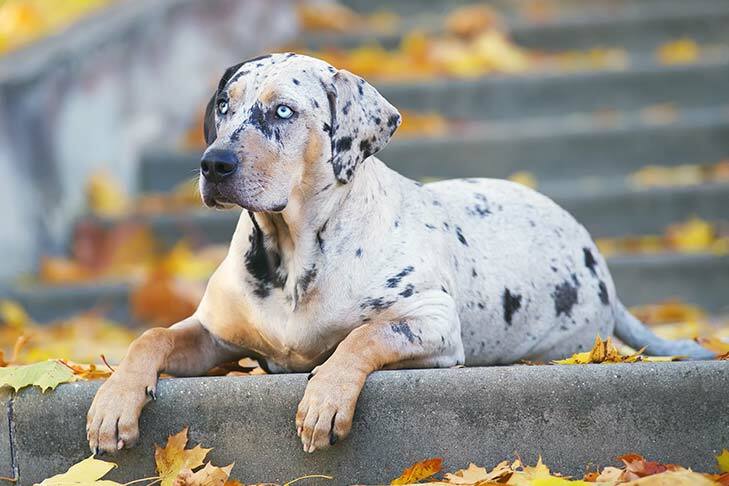 Issues such as hip dysplasia, deafness, and eye problems have occasionally occurred in the Catahoula Leopard Dog. Some dogs may be faced with these health challenges in their lives, but the majority of this breed are healthy dogs. 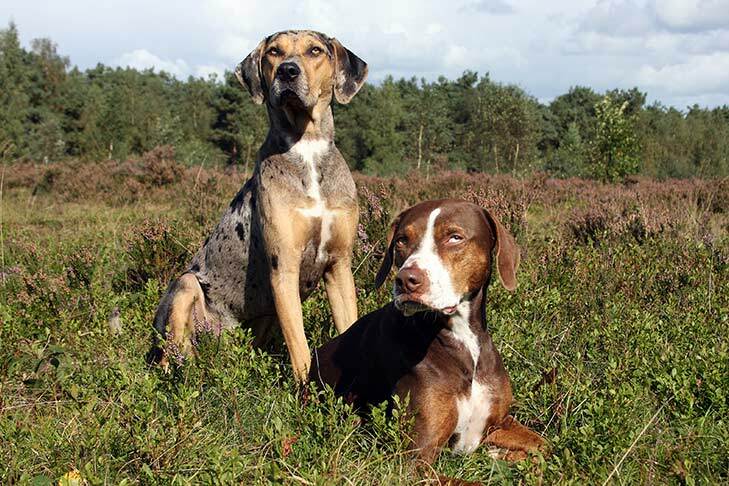 Working with a responsible breeder, those wishing to own a Catahoula Leopard Dog can gain the education they need to know about specific health concerns within the breed. Good breeders utilize genetic testing of their breeding stock to reduce the likelihood of disease in their puppies. In 1539, when Spanish explorer Hernando de Soto landed in Florida and began his expedition through the Southeastern United States, his scribes noted there was only one species of domestic animal in North America: the Native American’s dog, who looked like a wolf but barked like a dog. These native dogs were crossed with the “bloodhounds, mastiffs, and greyhounds” brought by the Spanish explorers. 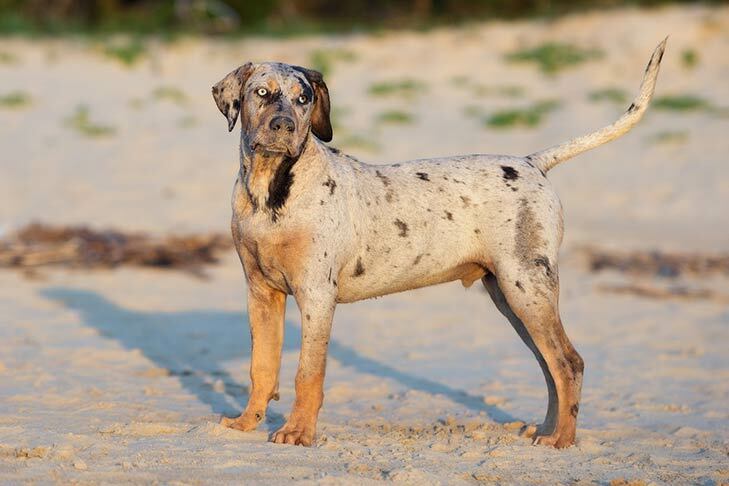 In Northern Louisiana, the Native Americans called these new dogs “Wolf Dogs.” Once the French arrived with their hounds, they were crossbred again, resulting in today’s Catahoula Leopard Dog. How the Catahoula obtained his working instincts is another story: The early settlers of Central Louisiana, specifically the Catahoula Lake area, used these crossbred dogs to pen and catch the wild hogs and cows that were rampant in the area, and this practice turned into a planned method of managing the wild herds. 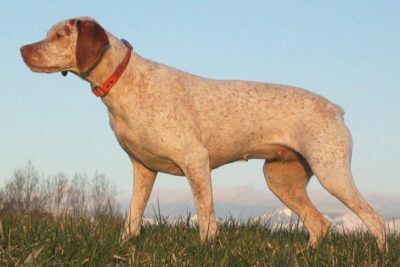 The Catahoula developed a unique way of working the stock that sets them apart from other herding and working breeds; they create a “canine fence” around the herd, and within this “fence,” the wild herd is directed by the dog’s master. This natural working instinct is of the utmost importance to Catahoula Leopard Dog breeders. Regardless of appearance, he must have these working instincts to be a pure Catahoula. Catahoulas have been taken to Venezuela to gather wild Brahman cattle on huge ranches. 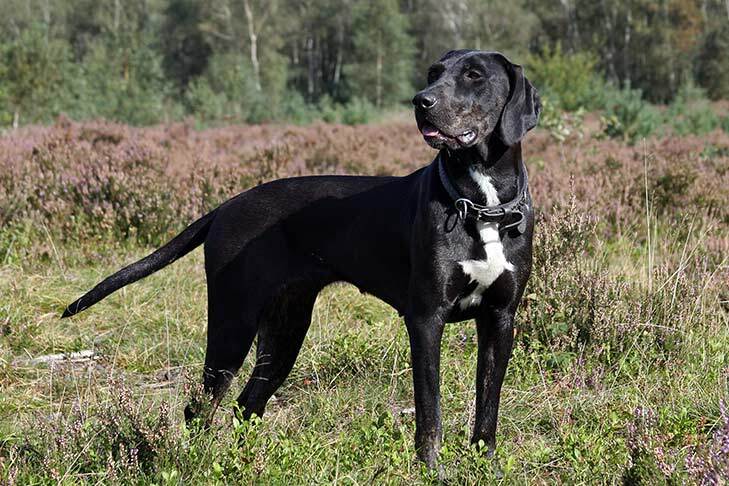 Other names for the breed include Louisiana Catahoula Leopard Dog, Catahoula Cur, Catahoula Hog Dog and Catahoula Hound. In 1979, the Catahoula Leopard Dog was named the State Dog of Louisiana. In Canada, Catahoulas have competed successfully in sled-dog racing. 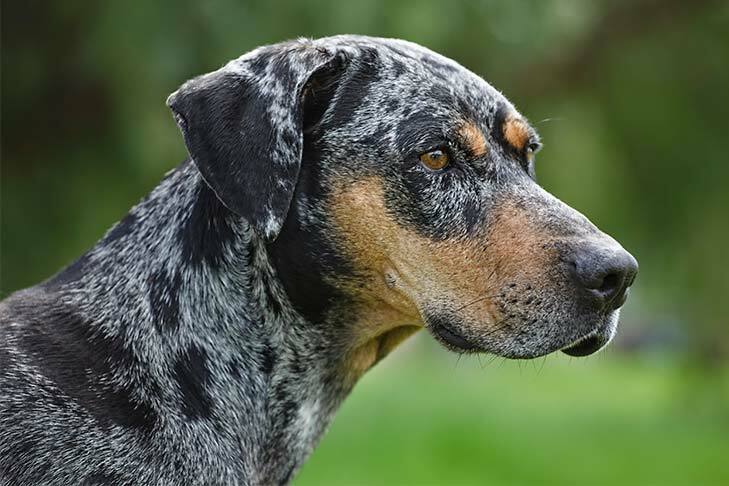 The Catahoula Leopard Dog has been assigned the Herding Group designation. 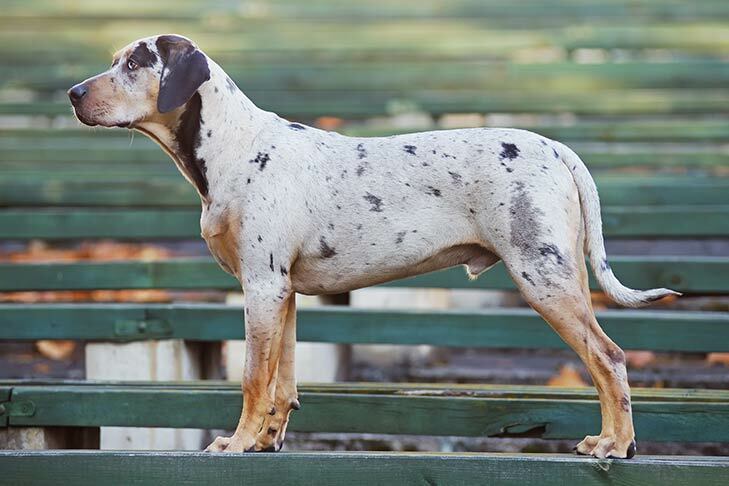 The Catahoula Leopard Dog has been recorded in the Foundation Stock Service since 1996. The Catahoula Leopard Dog has been approved to compete in AKC Companion Events since January 1, 2010. 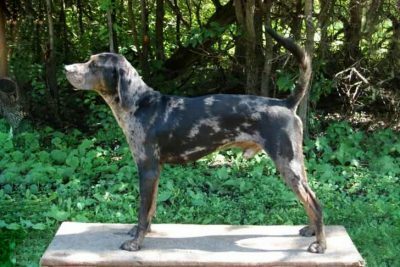 The Catahoula Leopard Dog originated in Central Louisiana in the region around the Catahoula Lake, from which it got its name.